 The Arc San Francisco is governed by a volunteer Board of Directors and led by key staff and members of our Client Advisory Committee. We also value the input and experience of our Family Coalition members. CAC The Client Advisory Committee (CAC) is a group of self-advocates who meet weekly to improve individual leadership, communication, and organizational skills while advocating for the rights of people with disabilities. CAC members are leaders at The Arc, developing programs and activities and engaging in local, state and nationwide advocacy actions. For clients interested in joining the CAC, it is recommended that they attend the CAC Discussion Group which meets every Friday from 1:00pm – 2:00pm. Current issues the CAC is working on include personal health, respect for mobility needs, legislative advocacy and creating more social opportunities. All clients of The Arc San Francisco are invited to attend a meeting of the CAC the last Thursday of the month from 10:30am-12:00pm at 1500 Howard Street, San Francisco.